Demba Sanyang, a traditional chief has called for a review of the country’s over-century-old District Tribunal Act which was developed by colonial administration. 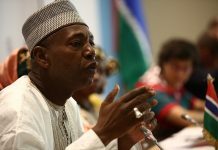 Sanyang, the Chief of Kiang Central in the Lower River Region (LRR) of the Gambia, made the call during a pre-consultation meeting by members of the Constitutional Review Commission (CRC) with local and traditional authorities in his region, ahead of the review process of Gambia’s 1997 Constitution which kicks off on 29 October. He argues that the District Tribunal Act which governs local authorities is outdated, stressing the need for the act to be revisited and fine tuned to suit the current realities and challenges. 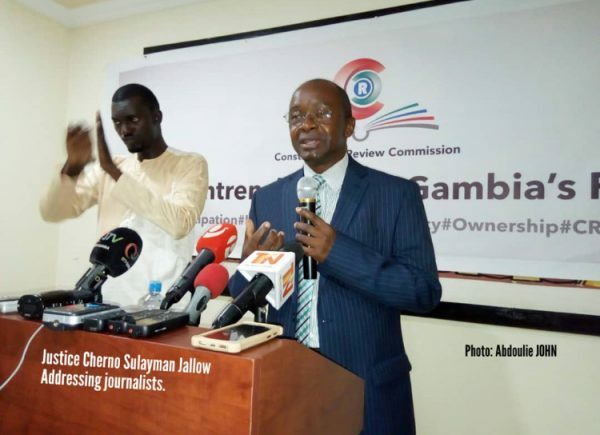 Justice Cherno Sulayman Jallow, the CRC chairman, in response said the District Tribunal Act was made in 1903 by the colonialists. He was quick to add that he would deliver the message to the relevant authorities like the Chief Justice of the Gambia, Hassan Jallow, so that something could be done about the obsolete law. Meanwhile, Sanyang , the Chief of Jarra Central, also argued that the cost of new national identity (ID) card is too high for most Gambians and therefore urged government to get it revisited. According to him, the fee of D450.00 (approximately $10) charged by the Barrow Government as the cost of getting ID card for citizens is exorbitant and beyond the reach for many Gambians. He stressed the need for government to look at the issue again and revise the charges.